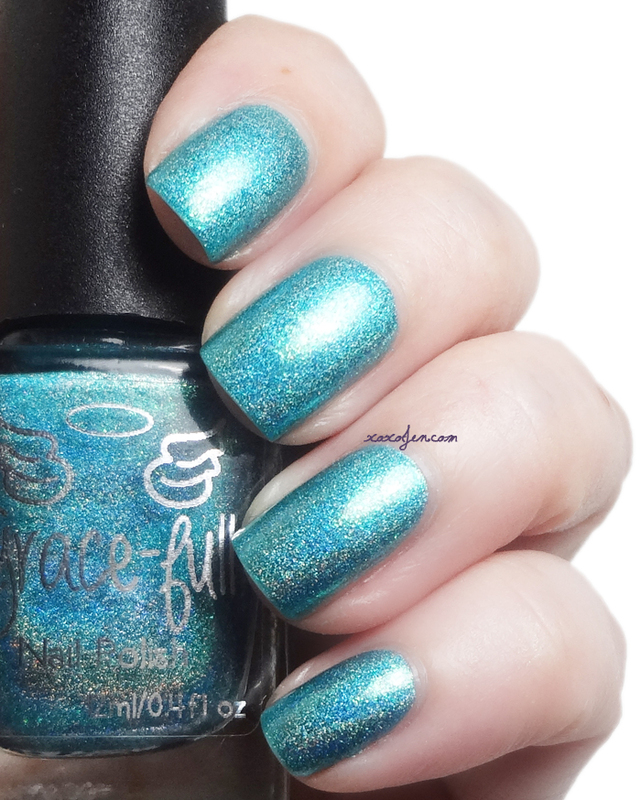 The Inklings collection from Grace-Full nail polish was sent to me for review by Ella Ann Cosmetics. The inspiration is from the works of JRR Tolkien. 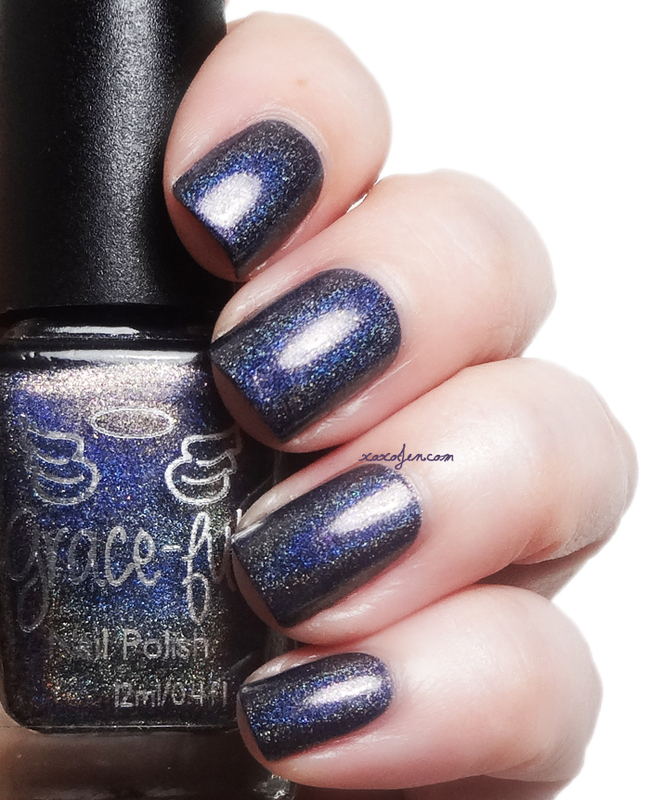 Like all the other Grace-Full polishes I've reviewed, the formula is smooth and very easy to control on the nail with very little clean up. 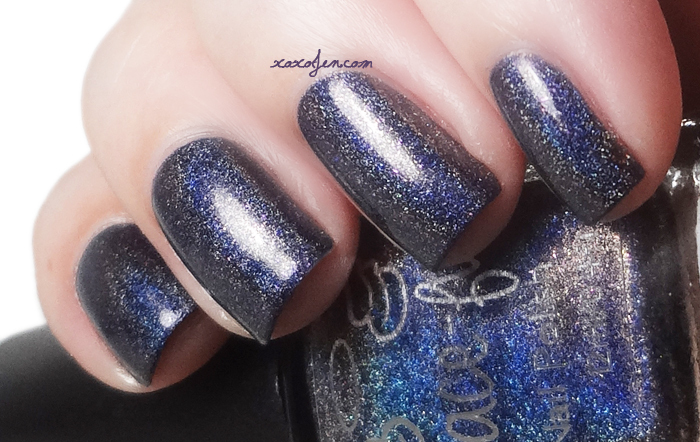 All photos below are two coats with topcoat; descriptions are from Grace-Full Nail Polish. 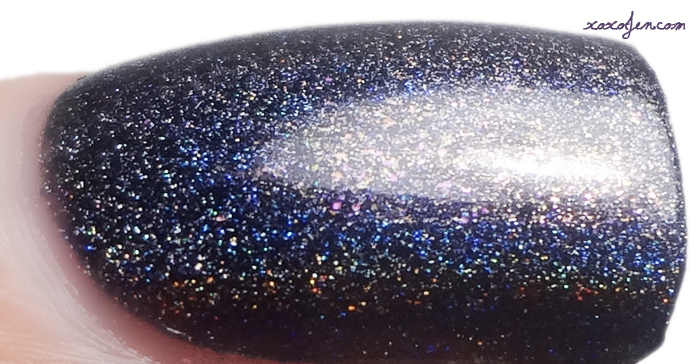 Mount Fang is a dark grey linear holo with red and gold flecks. The red represents the evil within the tower from Saruman’s secret relationship with Sauron. The gold sparks represent the power of The One Ring. Mount Fang is no longer being made due to a supplier discontinuation of an ingredient. I spoke with Theresa and I believe she is still searching to replace that ingredient. 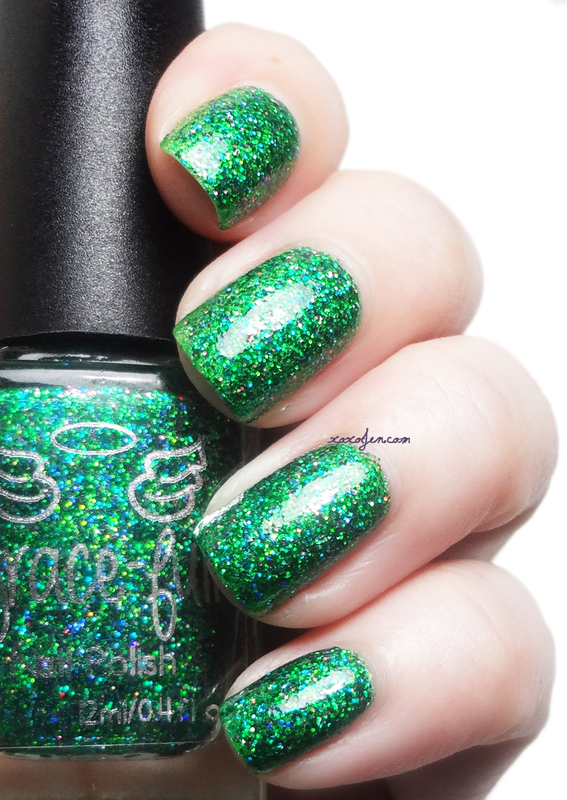 The Lights in the Party Tree is a bright green microglitter full of holographic glitters with a green jelly base. There are pink, purple, blue, microglitters throughout to represent the hobbit hole doors and the flowers covering the hills. Where the Gods Dwell is based on the place in the story called Valinor. Behold, Valinor is built, and the Gods dwell in peace. 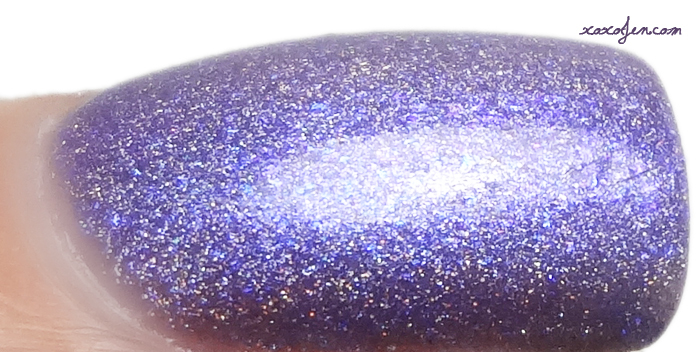 It is a subtle linear holo that shifts from a periwinkle blue to violet and has sparks of pink and blue throughout. 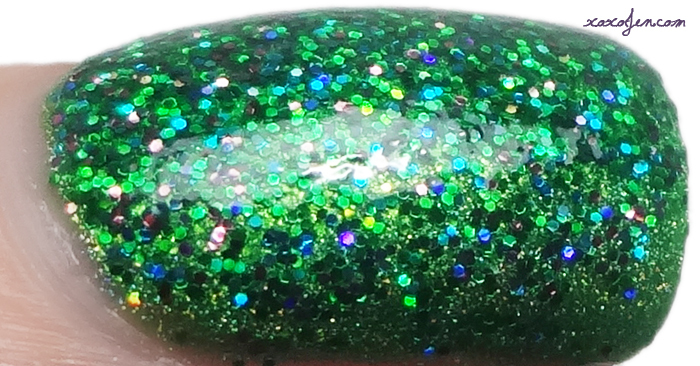 Based on the Elven kingdom Lothlorien, Sunlight and Starlight is a subtle linear holo that shifts between blue and green. I hope you've enjoyed the review! 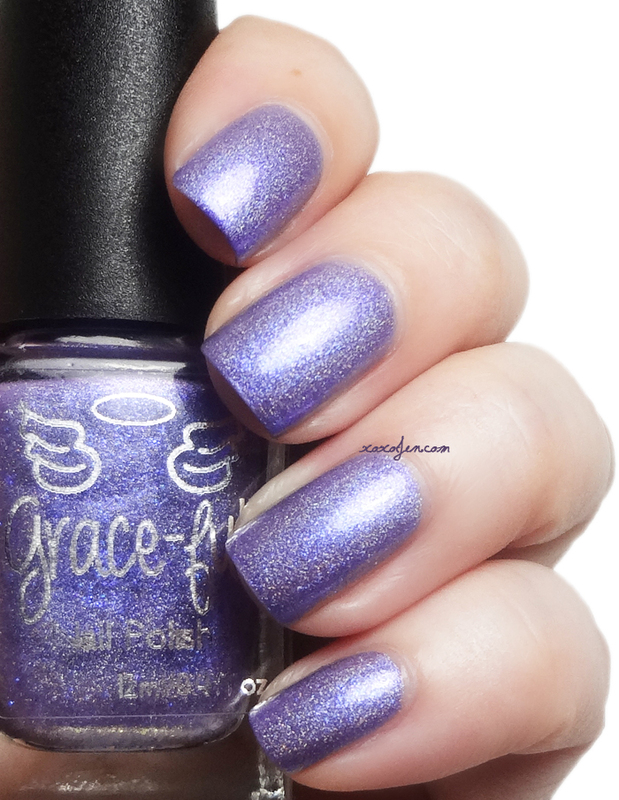 Check for these polishes (except Mount Fang) at Ella Ann Cosmetics or Grace-Full Nail Polish online.